INGOLSTADT, Germany (Reuters) -- Volkswagen Group's Audi unit gave an early indication of the costs of the diesel scandal to its parent company today, reporting that the issue had cut into its 2015 profit. 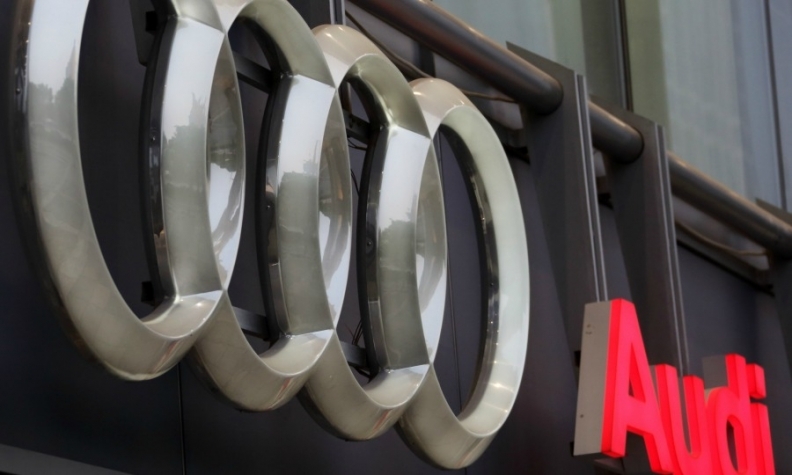 Audi said its operating profit fell 6.1 percent to 4.84 billion euros ($5.3 billion) on emissions-related costs of 228 million euros, combined with provisions for recalls of cars fitted with Takata Corp. airbags. The operating margin at Volkswagen's luxury division fell to 8.3 percent from 9.6 percent, the company said in a statement. This compares with 10 percent at rival Mercedes-Benz which last year eclipsed Audi in global sales for the first time since 2010. "Conditions were demanding, perhaps more demanding than we originally expected," finance chief Axel Strotbek said. As the main contributor to parent VW's earnings, Audi's results provide some idea of the performance of the parent group, which last month postponed the release of its results until late April because the financial effects of the affair remain unclear. VW already set aside 6.7 billion euros in provisions for costs of the diesel recalls in the third quarter of last year. Audi said it expects to increase deliveries and revenue "moderately" to new records this year, from 1.8 million cars and 58.4 billion euros respectively. The automaker admitted in November to using illicit emissions-control devices in about 85,000 3.0-liter diesel engines, and submitted proposals for technical fixes to U.S. authorities last month. The cost of repairing vehicles in the U.S. will be in the "mid-double-digit" million-euro range, CEO Rupert Stadler said. "We will ensure full transparency and we assure you: we will fix it," Stadler said in a speech prepared for the press briefing at Audi headquarters in Ingolstadt, Germany. Audi also warned that spending on new factories in Brazil and Mexico and ramp-up costs of new models such as the Q2 SUV will affect earnings "negatively" in 2016.